Product prices and availability are accurate as of 2019-04-19 00:44:03 UTC and are subject to change. Any price and availability information displayed on http://www.amazon.com/ at the time of purchase will apply to the purchase of this product. 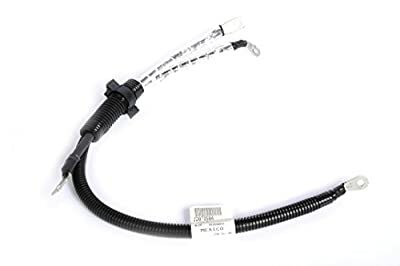 ACDelco GM Original Equipment Battery Cable Harness is a GM-recommended replacement component for one or more of the following vehicle systems: ignition, starting and charging, body-electrical and lighting, and/or engine fuel management. This original equipment harness will provide the same performance, durability, and service life you expect from General Motors. PROPOSITION 65 WARNING: Battery posts, terminals and related accessories contain lead and lead compounds, chemicals known to the State of California to cause cancer,birth defects and other reproductive harm. Batteries also contain other chemicals known to the State of California to cause cancer. Wash hands after handling.